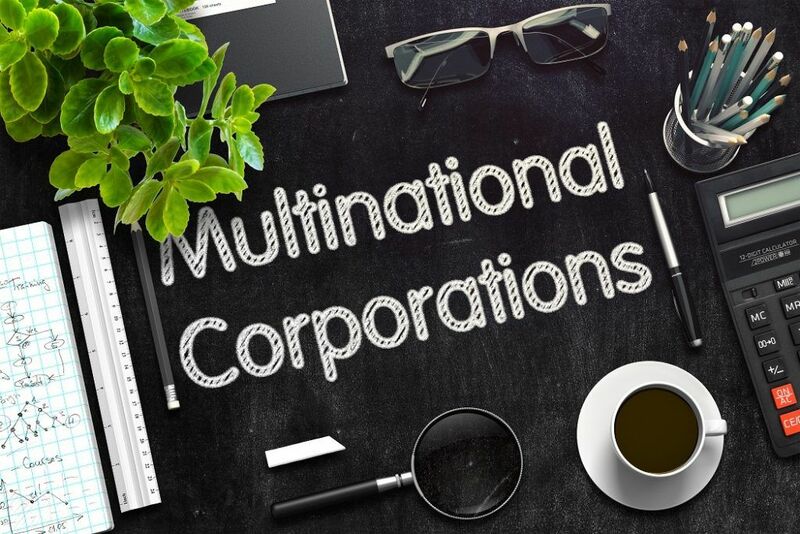 A multinational corporation is a company that operates in its home country, as well as in other countries around the world. It maintains a central officeCorporate StructureCorporate structure refers to the organization of different departments or business units within a company. Depending on a company’s goals and the industry which it operates in, corporate structure can differ significantly between companies. Each of the departments usually performs a specialized function located in one country, which coordinates the management of all other offices such as administrative branches or factories. It isn’t enough to call a company that exports its products to more than one country a multinational company. They need to maintain an operation in other countries and must make a foreign direct investmentForeign Direct Investment (FDI)Foreign direct investment (FDI) is an investment from a party in one country (home country) into a business in another country (host country). there. To become a multinational corporation, the business must be large and must own a huge amount of assets, both physical and financial. The company’s targets are so high that they are also able to make substantial profits. Multinational companies keep production and marketing operations in different countries. In each country, the business oversees more than one office that functions through several branches and subsidiariesSubsidiaryA subsidiary (sub) is a business entity or corporation that is fully owned or partially controlled by another company, termed as the parent, or holding, company. Ownership is determined by the percentage of shares held by the parent company, and that ownership stake must at least 51%.. In relation to the previous point, the management of the offices in other countries is controlled by one head office located in the home country. Therefore, the source of command is found in the home country. Multinational corporations keep growing. Even as they operate in other countries, they strive to grow their economic size by constantly upgrading and even doing mergers and acquisitionsMergers Acquisitions M&A ProcessThis guide takes you through all the steps in the M&A process. Learn how mergers and acquisitions and deals are completed. In this guide, we'll outline the acquisition process from start to finish, the various types of acquirers (strategic vs. financial buys), the importance of synergies, and transaction costs. When a company goes global, they need to make sure that their investment will grow substantially. In order to do achieve substantial growth, they need to make use of capital-intensive technology, especially in their production and marketing. Multinational companies employ only the best managers who are capable of handling huge funds, using advanced technology, managing workers, and running a huge business entity. One of the most effective survival strategies of multinational corporations is spending a huge amount of money on marketing and advertising. It is how they are able to sell every product or brand they make. Because they use capital-intensive technology, they are able to produce top-of-the-line products. It is a very common reason for companies to go global because if they set up production in other countries, especially in developing economies, they spend less on production costs. Though outsourcing is a way of doing this, setting up manufacturing plants in other countries may be even cheaper. It is beneficial to set up business in countries where the target market of a company is. It helps reduce transport costs, and it gives multinational corporations easier access to consumer feedback and information, as well as to consumer intelligence. When a company produces or manufactures its products in another country where they sell them, they are exempted from import quotas and tariffs. In the centralized model, companies put up an executive headquarters in its home country and then build various manufacturing plants and production facilities in other countries. Its most important advantage is being able to avoid tariffs and import quotas and take advantage of lower production costs. The regionalized model states that a company keeps its headquarters in one country that supervises a collection of offices that are located in various countries. Unlike the centralized model, the regionalized model includes subsidiaries and affiliates that all report to the headquarters. In the multinational model, a parent company operates in the home country and puts up subsidiaries in different countries. The difference is that the subsidiaries and affiliates are more independent in their operations. In terms of efficiency, multinational companies are able to reach its target markets more easily because they manufacture in the countries where the target markets are. Also, they can easily access raw materials and cheaper labor costs. In terms of development, multinational corporations pay better than domestic companies, making them more attractive to the local labor force. They are favored in some way by the government because they also pay local taxes, which help boost the country’s economy. In terms of employment, multinational corporations hire local workers who know the culture of their place and are thus able to give helpful insider feedback on what the locals want. As multinational corporations employ both locals and foreign workers, they are able to come up with products that are more creative as a result of their convergence. Board of DirectorsBoard of DirectorsA board of directors is essentially a panel of people who are elected to represent shareholders. Every public company is legally required to install a board of directors; nonprofit organizations and many private companies – while not required to – also establish a board of directors. Spin-offSpin-OffA corporate spin-off is an operational strategy used by a company to create a new business subsidiary from its parent company. A spin-off occurs when a parent corporation separates part of its business into a second publicly-traded entity and distributes shares of the new entity to its current shareholders.